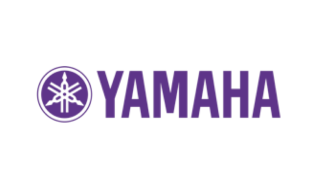 The What: Yamaha Professional Audio will host active demos of the NEXO GEO M6 and ID Series along with the new Yamaha PX Series amps as well as CBR and DXR speakers and DXS18 subwoofer in room N107 during InfoComm 2016. The latest in Yamaha consoles will be controlling demos. Demo times are Wednesday at 11:00 am, 1:00 pm, and 3:00 pm; Thursday and Friday at 9:00 am, 11:00 am, 1:00 pm and 3:00 pm. The What Else: The GEO M6 Series is comprised of the GEO M620 array-able cabinet and the GEO M6B bass extension. The GEO M620 is a full-range unit for stand-alone, curved array, or line array application. Extremely compact in size and lightweight (less than 10-kgs), the GEO M620 uses a NEXO-designed long-excursion high-efficiency 6.5-inch LF driver and 1x 1-inch throat driver on a BEA/FEA optimized HR Wavesource, to deliver a frequency response of 80 Hz—19 kHz ±3dB, with nominal peak SPL of 127dB. HF dispersion is 80 degree or 120 degree horizontal, with 20-degree vertical coverage, 0 degree to 20 degree splay when arrayed. The NEXO ID Series loudspeaker cabinet is a compact, low profile, high output single speaker for use under balcony, for front fill and side fill applications, and is a solid accompaniment to NEXO line arrays in acoustically challenging spaces. Using a variety of mounting options, the ID24 compact cabinet can fit into almost any environment, offering high SPL output with variable directivities enabling it to ‘beam’ sound into difficult spaces. The new Yamaha PX Series comprises four new models: PX10 1200w x 2, PX8 1050w x 2, PX5 800 w x 2, and the PX3 500w x 2, and come equipped with both XLR and TRS inputs, and binding post, SpeakON and phone outputs for a flexible range of connectivity. All models are driven by a newly-developed Class-D amplifier engine that concentrates all necessary DSP functions into a single custom LSI chip, offering higher output and improved performance in a more lightweight design. The PX3 and PX5 also come equipped with a Power Boost Mode that combines the power output from two channels into one, achieving significantly higher single-channel power levels to drive high power handling speakers when needed (the number of channels available is halved in this case). The Bottom Line: Previously released CBR, DXR and DSX18 speakers will also be active in the demo room. For more information, visit Yamaha Professional Audio at InfoComm, booth #C11116, demo room N107.